Are you going to take advantage of the “low snow” winter? 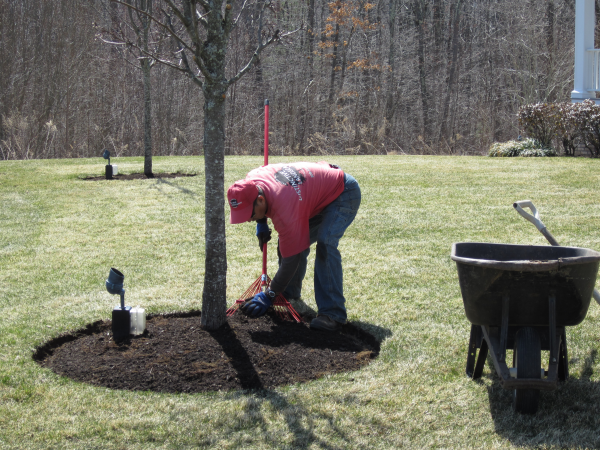 Historically we have had great years in the Landscape industry when we can get a couple weeks of work done in March. Emerging Bulbs, perennials and buds on your trees and shrubs. If you can get into your gardens and landscapes before the delicate growth of your plants begin you can avoid damaging your plants most sensitive areas. Get ahead of the action. Nothing beats an early season to free up time for other projects. I love when we can get an early jump on our landscape season. It gives me the flexibility I need in the schedule to give proactive results to accommodate our new clients. Beat the weeds. The sooner you can get cleaned up and landscapes mulched the more suppressed the weeds will be. Don’t risk mulching or weed prevention before that have emerged. Even if it does snow, this North Attleboro Landscaper says, so what!